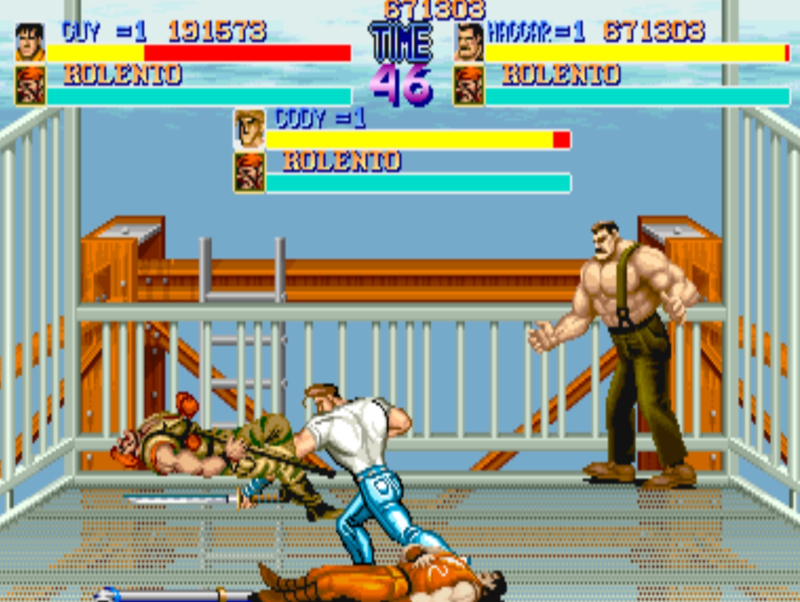 After a month of development and a ton of reverse engineering, Rotwang and I would like to announce Final Fight 30th Anniversary Edition! 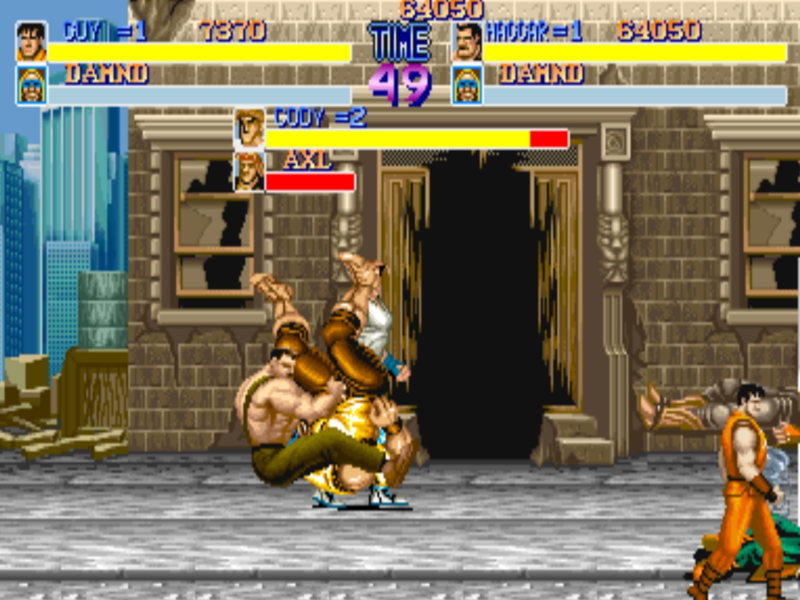 This modification finally brings three player to the greatest beat em up of all time. Designed from the ground up to work on real CPS1 hardware, this modification will be a cut above the rest. So far most game systems have been modified to support three player, health bars, ai, weapons, scene transitions, hit detection, input, etc. The game is already fully playable from start to finish, however there is still some enemy ai/bug fixes/clean up to be done. We are working hard to make this modification a perfect enhancement to a classic game. Great work! It'll be interesting to give this a try, although I'll need to find two other people willing to play with me. Is the patch going to be applied to the MAME set? They do have a tendency to change. I'm sure you can figure something out. 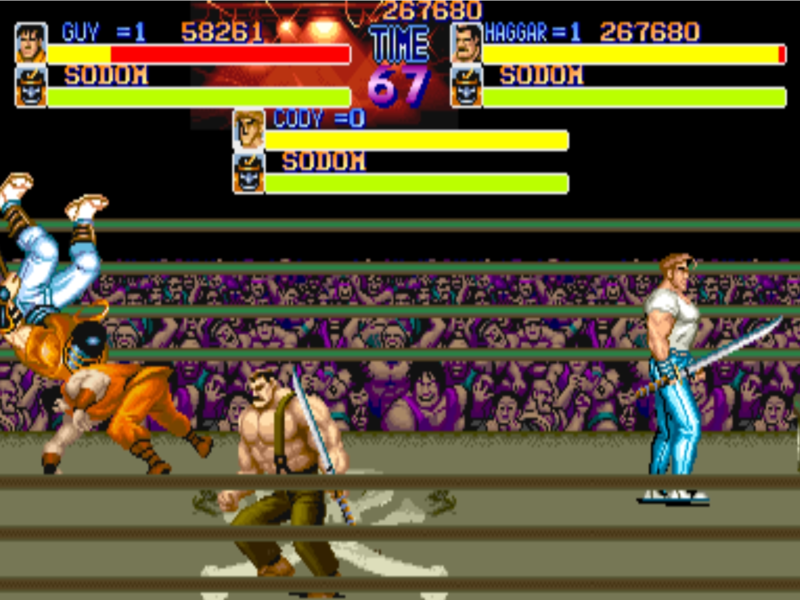 Better 3 player arcade than 2 player SNES, I'd say. I am very surprised of your work, I really like it a lot as it looks, congratulations! That looks awesome. I can't wait to play it. Awesome to see it in action!! Quick question, have you guys considered shortening the life bars to fit them in more neatly? Thank you all, it's been quite an effort to get this far. 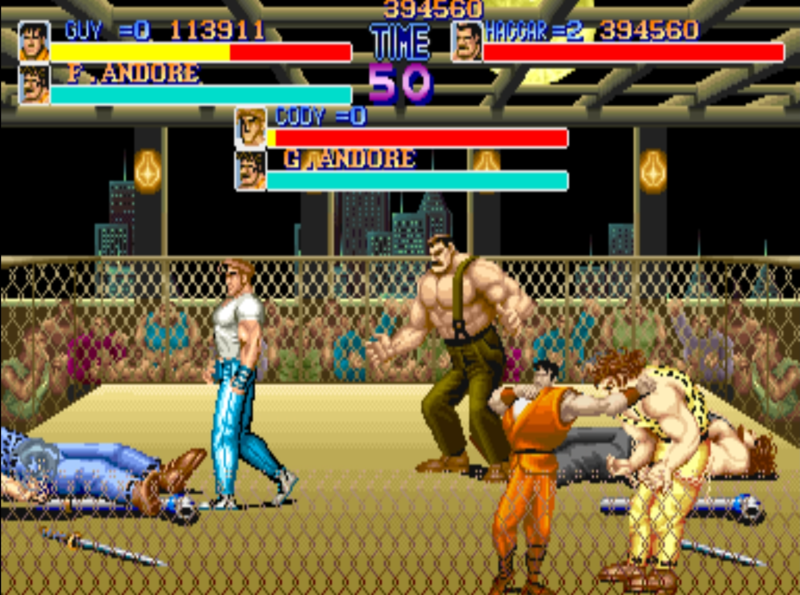 We plan to shorten and reorganize the life bars at the top of the screen. In addition to fixing the main player select screen and dynamite scene when all players are dead, the health bars are on the list of cosmetic fixes to be done after the last of the gameplay changes are in place. This kind of hack is crazy complex! And on a system with not so great debugging tools it's even more impressive. It already is quite an achievement, from the screens provided. Can this hack work with the Mexican Boss/Enemy player select hack too? Looks like a very impressive work but from those screens, I do also wonder if it is possible to reduce the HUD. That looks like it's covering nearly half the screen. 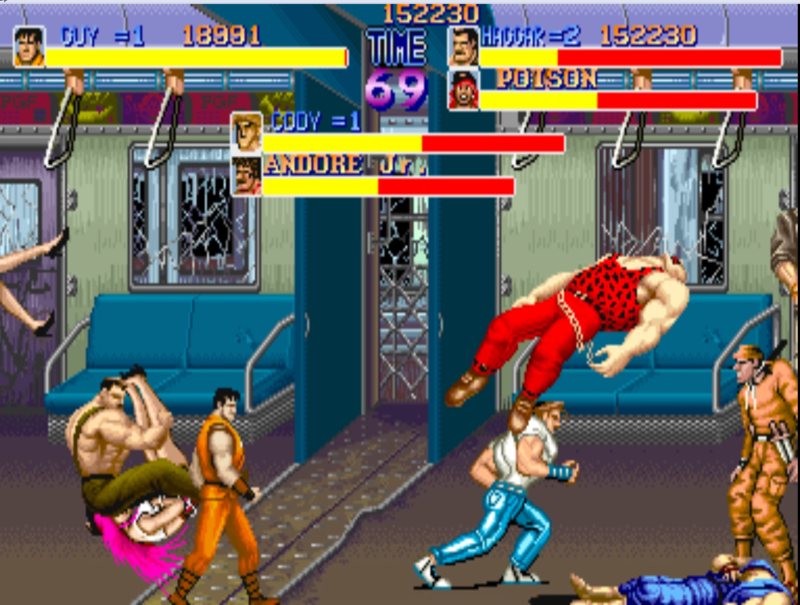 Maybe reduce the width of the lifebars? Changing the healthbar size/location shouldn't be an issue. Everyone, changing HUD elements is very clearly a trivial thing, compared to the amount of work and complexity the whole hack must have had. Congratulations Grego on this hack, looks like it's all working very well! Beautiful work, Grego, and all involved. Congrats! I'd like to thank the community for their tremendous support, rest assured Rotwang and I are working diligently to complete this project. I can't imagine how much work you guys put in this project, the fact it runs on the original hardware is just the cherry on top! Congratulations for the team, just an amazing hack! Hope you get to the cosmetic changes, they will be a nice touch. This is a awesome mod, I'm looking forward to checking it out when it's released. I have a question about this mod, will the original uncensored intro be restored back to it? Thanks SCD, yup Rotwang already uncensored the intro. We have a lot of enhancements to announce in the near future, next video will be all about them. Are you planning to restore the original text for the Omake ending? I like that you just adding 3 player and shortening the life bar, while being classy for keeping the original design of the game.